A BCCI insider has revealed that India and Pakistan will continue to refrain from playing each other until the socio-political conditions between the two nations improve in the near future. Meanwhile, PCB’s Wasim Khan has informed that they are trying hard to establish a dialogue with the BCCI. 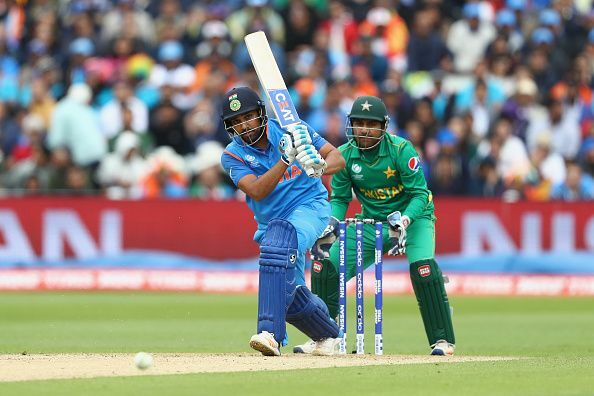 The Indian and Pakistan cricket teams have not played bilateral cricket since a short limited-overs series in India in 2012-13 since the political tensions between both the countries got to a point beyond return. Since then, the two nations have met only in International Cricket Council (ICC) or the Asian Cricket Council (ACC) tournaments. A recent report in Hindustan Times, brought to light some new information on the issue from an inside BCCI source. In the interview with HT, the BCCI official said that it was important to understand that India doesn't have any issue playing against Pakistan as soon the socio-political conditions between the two nations improve. “Once the conditions are right, no one will have any problem in the resumption of cricketing ties but that day seems to be a little far off. PCB chairman Ehsan Mani is liked and is very different from his last two predecessors — Shaharyar Khan and Najam Sethi — who had a chip stitched on their shoulders for whatever reason. But even Mani is constrained by the facts and circumstances. It all boils down to the political relations between the two countries and the end of hostilities. “We keep on asking them to play us but let’s create a situation where they ask us to play. I think we need to do that. It’s sad that we are not playing against them but life continues. We need to move forward and carry on. We can’t wait forever to play India. Our focus is to develop Pakistan cricket and get our team and players a lot of success at the international level, ” the BCCI source told Hindustan Times. Meanwhile, Pakistan Cricket Board (PCB) managing director Wasim Khan admitted that he was not optimistic about the resumption of India-Pakistan bilateral cricket anytime soon but hinted that a change in strategy might get the two nations playing. "It's a massive challenge and I don't think we're going to see any solutions anytime soon. I think elections are coming up in India, so nothing is going to happen in the near future. But, we are trying and [PCB chairman] Ehsan Mani is trying hard to get them to the table and get things moving," Wasim told ESPNcricinfo.